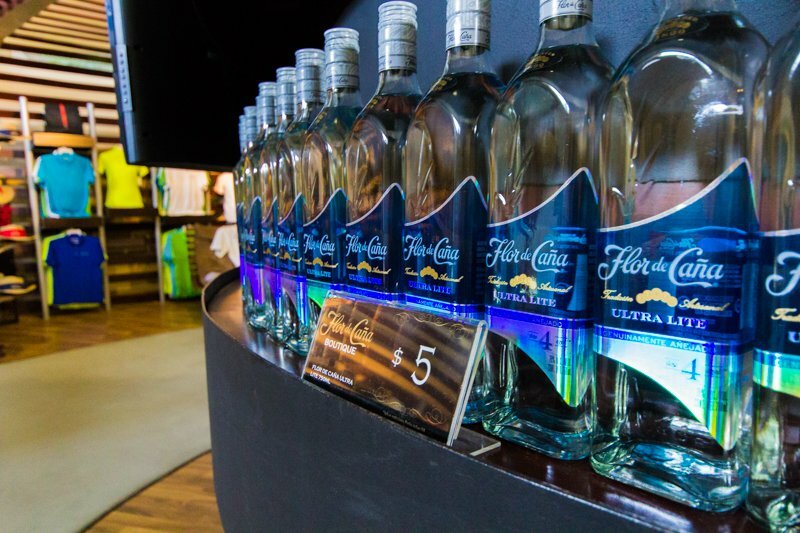 There isn’t a rum that is more popular in Nicaragua then the Flor de Caña. It’s everywhere. For real. 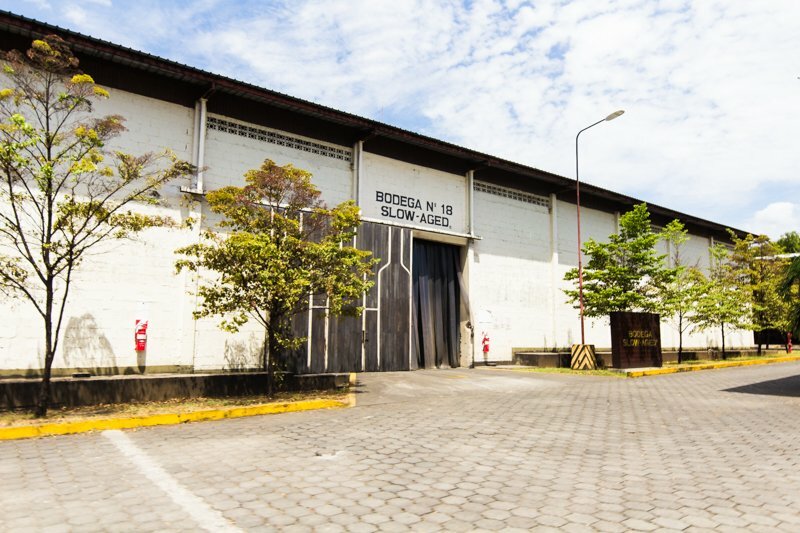 So when we decided to do a short trip to Leon, we thought it would be great to stop at the factory and learn more about the national rum! 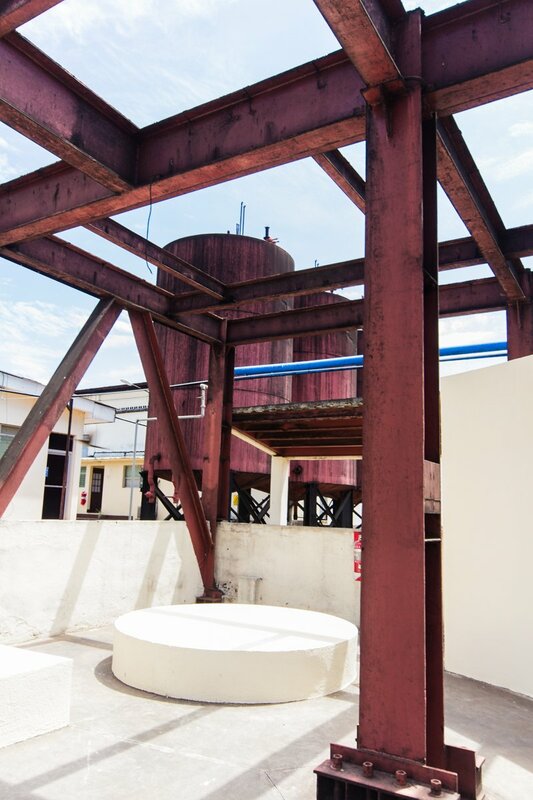 After all, we did a trip to a tequila factory last year in Mexico and loved it. So after an exhausting day climbing a volcano twice, tasting rum and walking around a factory seemed like a great plan. We booked our tour with the Lazybones hostel (even though we weren’t staying there) and ended up paying $40/person, which also included lunch and transportation. 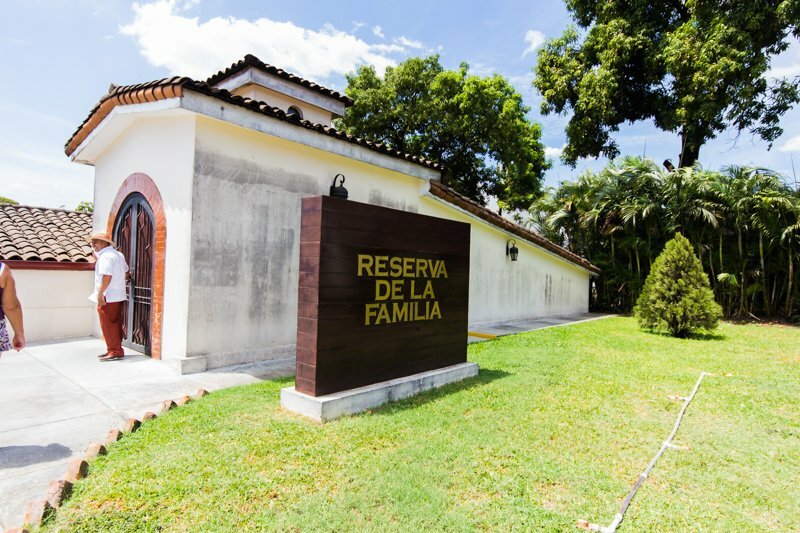 The cost of the visit at the Flor de Caña factory is $20/person, but considering we had to find a taxi and lunch, we realized it was cheaper for us to go with the tour. 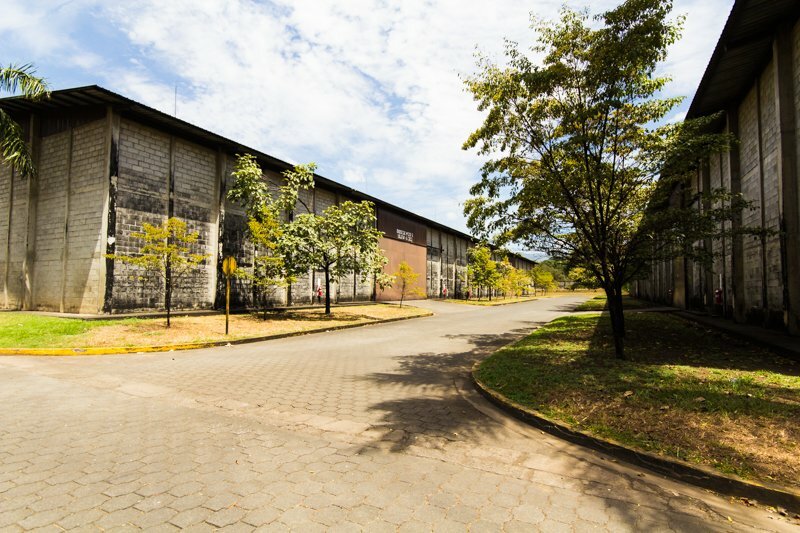 A taxi picked us up at the hostel around 10 AM and drove us to the factory. It’s a good 40 minutes outside of Leon, so make sure you know that if you plan to get a taxi on your own. Our driver was very nice and practiced his own English as well as our Spanish by pointing at things on the way there and telling us what it was. 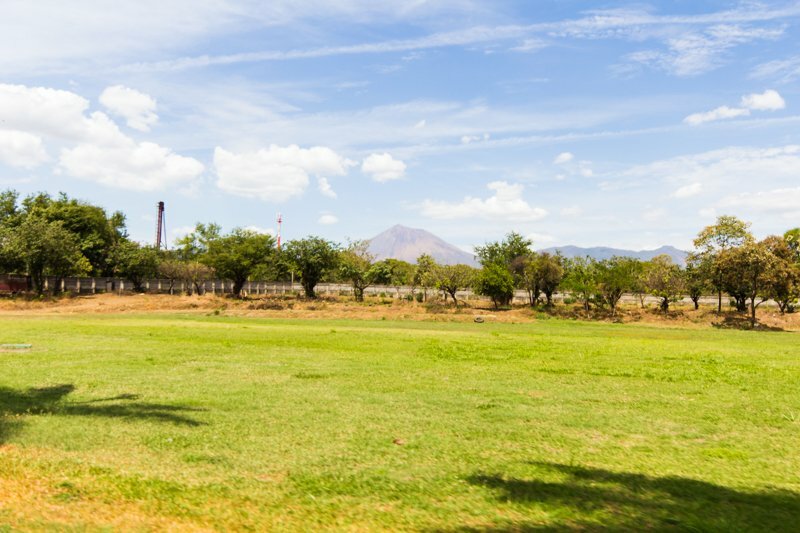 The factory sits at the bottom of the San Cristobal volcano, and you get a great view of the Telica volcano too on the way there. When we finally arrived, I thought the taxi driver would leave and pick us up later, but he actually got out of the car and came for the tour too! Our guide quickly came to join the group that had formed by the entrace of the factory. We were only two English speaking couple―us and a retired couple. The rest of the visitors were Spanish, so the tour ended up being in both language. 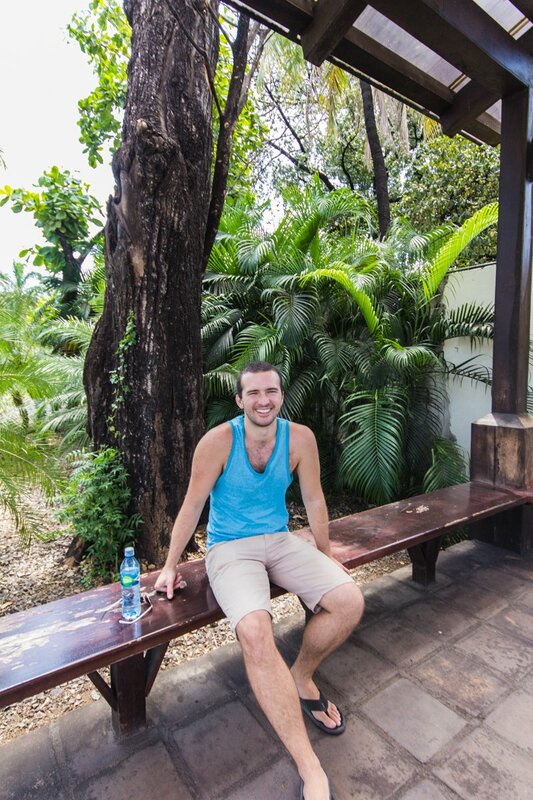 Seriously, the guide impressed me with his abilitie to switch from one language to another so quickly and easily. It’s a lot harder than it looks. 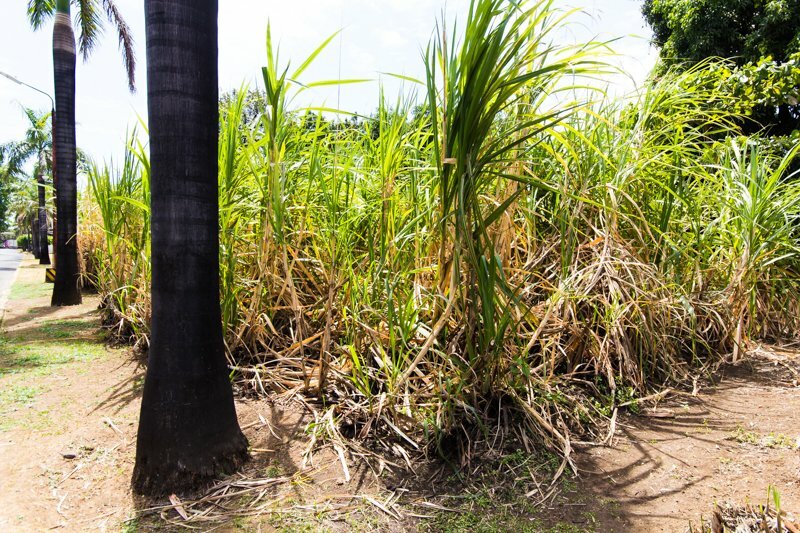 The tour started and we were introduced to the product rum is made of: sugar cane. 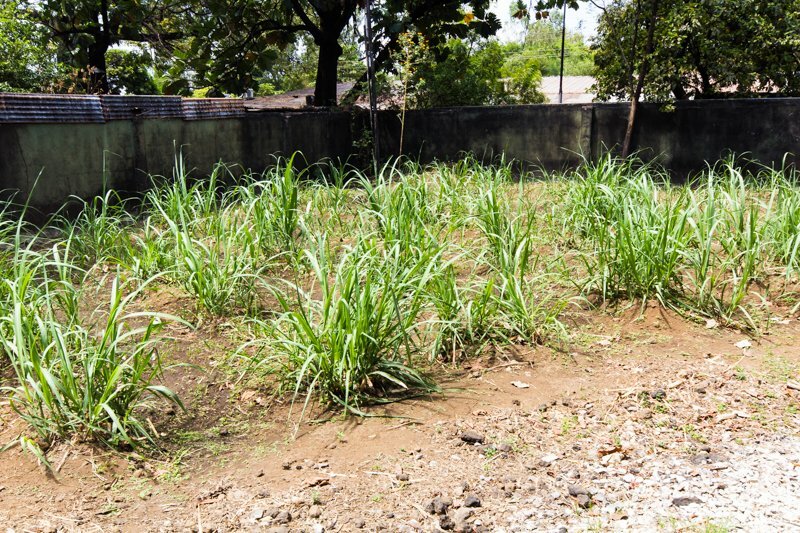 From the name of the company, I should have guess that a thousand years earlier, but I was somehow still surprised to learn that… We were showed what sugar cane looks like, which doesn’t look much different than tall grass. But you can get two awesome things from it (which you don’t get from grass): sugar and molasse. The rum is made from the latter. 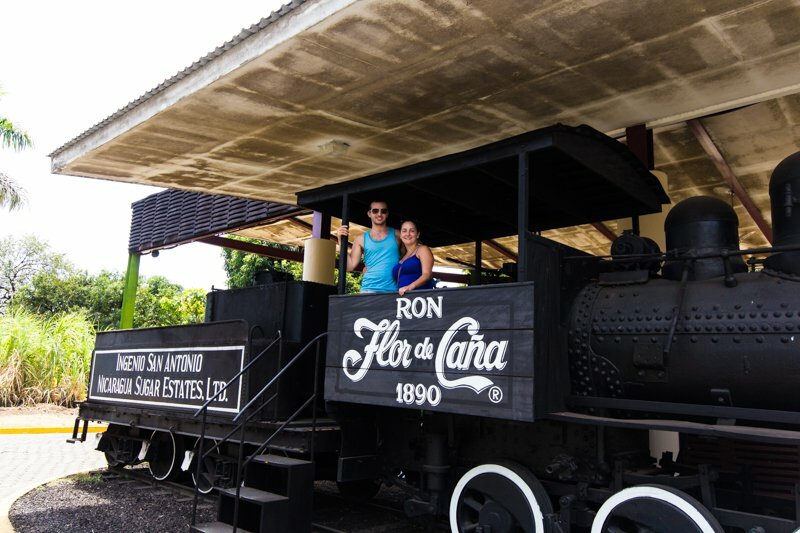 We then jumped on this old Flor de Caña train, took a quick picture and we were on our way! The tour guide took us to a small movie theater where we learned more about the company, the process to get the rum and store it, as well as the products available. 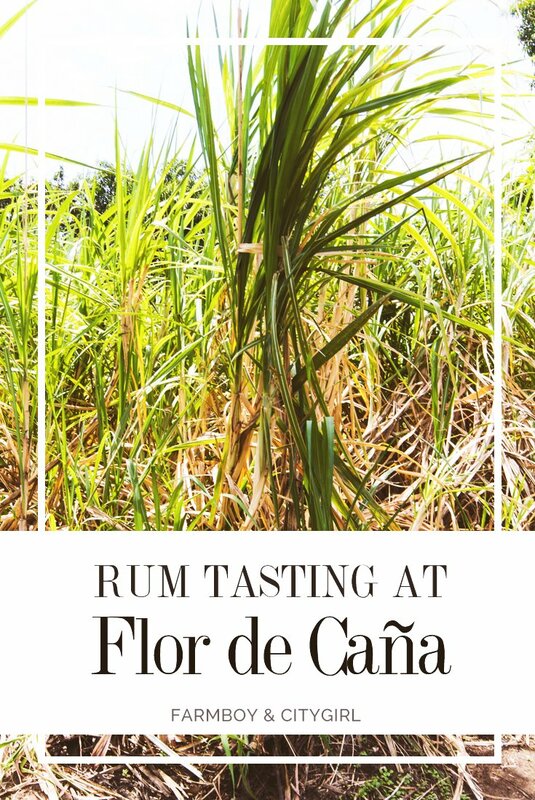 I loved that Flor de Caña actually reuses the leftovers of sugar cane to power its own machines and produces 10% of the country’s energy. They seem to care a lot about their impact on the environment and that’s something very important to me. But we actually did more then just drink the rum, as our guide explained to us how to notice quality rum by swirling it in our glasses and washing our hands with it! If we had sticky hands, it meant there was added sugars, which you don’t want in your rum. 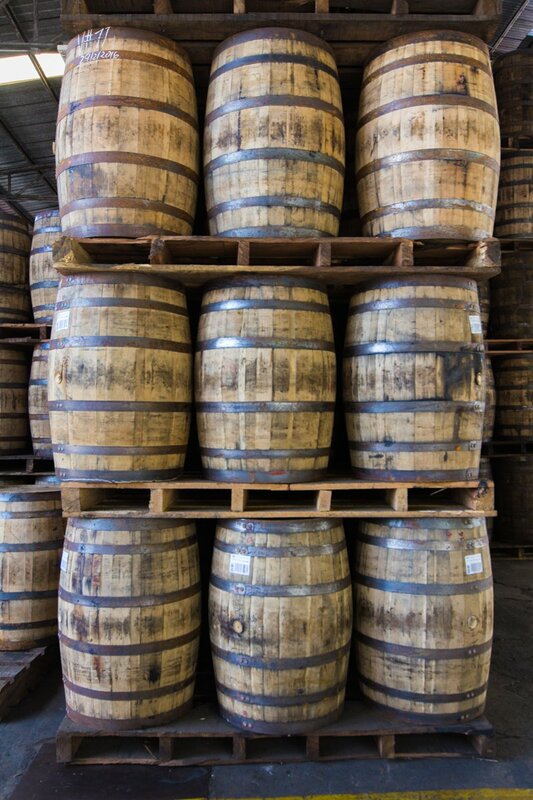 Next stop was the barrel station. 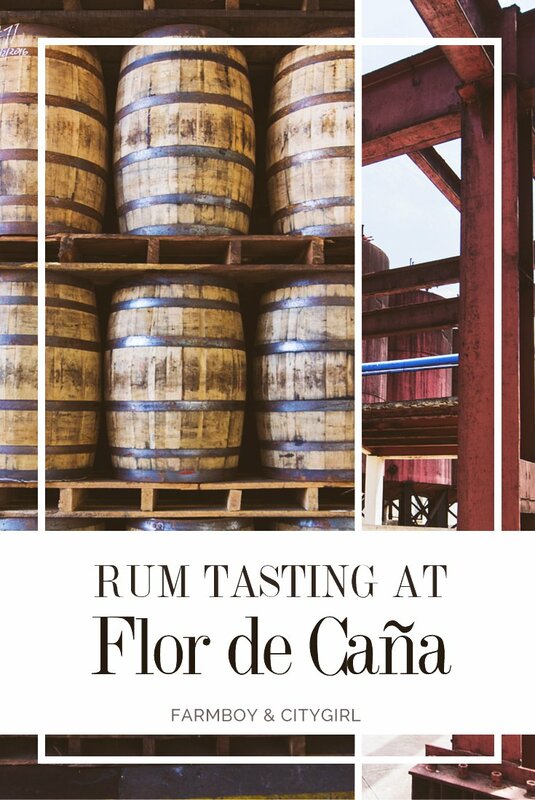 Did you know Flor de Caña used old brandy barrels imported from the States? 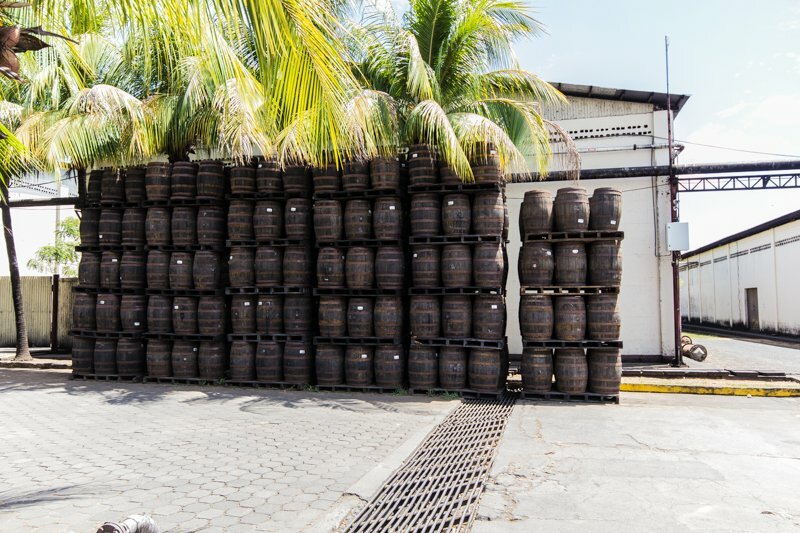 They completely undo them and rebuild them, but, this time, adding a thin slice of plantain leaf in between the wood pieces to filter the rum. 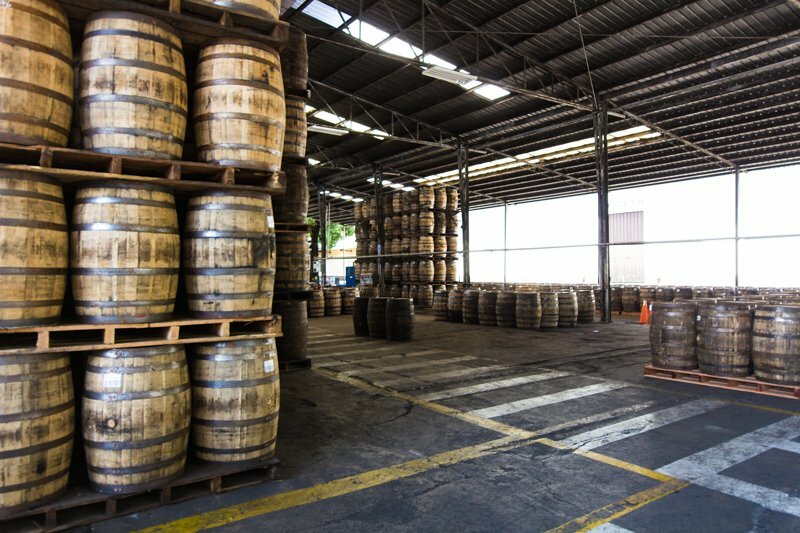 Finally, we checked out a warehouse with barrels full of rum. There were water sprinklers everywhere to keep the humidity as high as required. 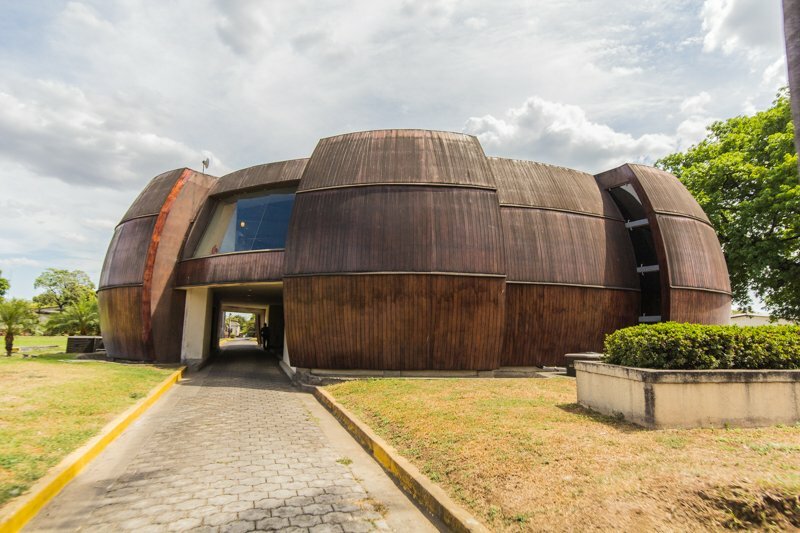 You’d also think that keeping a whole building’s temperature down would be hard, especially in Nicaragua, but with the insulation their roofs have, it was actually quite cool in there! That was another no-pictures zone, so I don’t have any to show you. 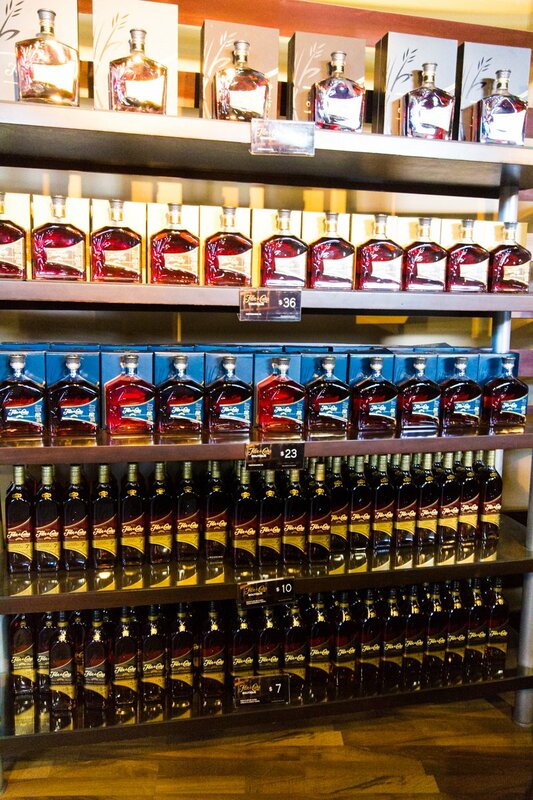 I wish I could buy a bottle of rum for $5 in Canada, but that’ll never happen… You can barely buy a shot at that price! 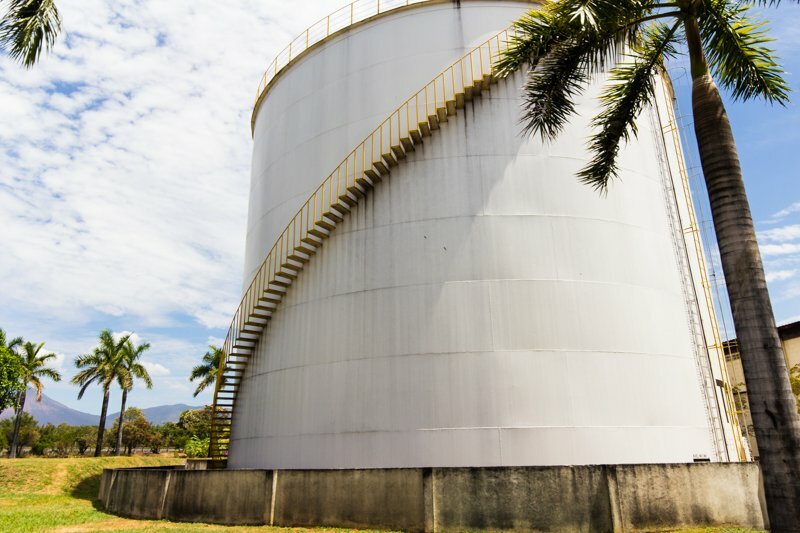 The one thing Chris and I would have liked to see on the tour that we didn’t is the sugar cane processing. It would have been nice to see some machine in actions, instead of only in the introduction video. 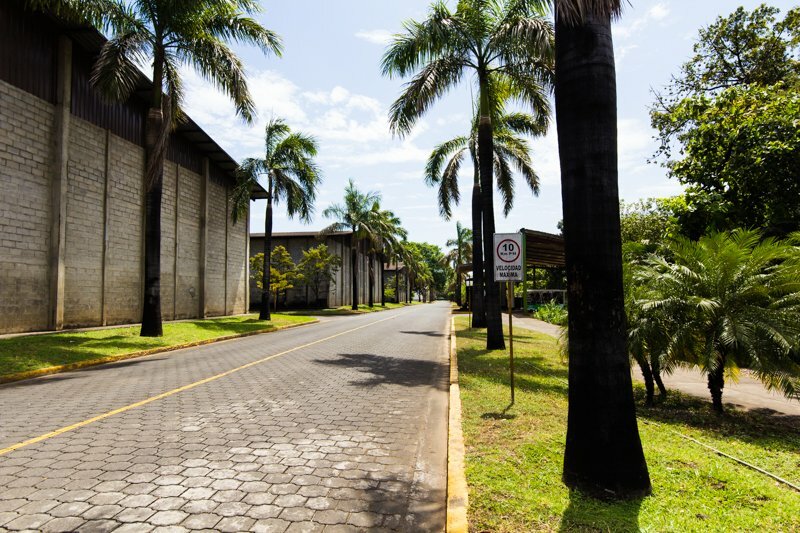 I understand that it might not be possible, but we had a chance to see parts of the process in Tequila, Mexico, and we would have enjoyed getting a more up close experience at Flor de Caña.